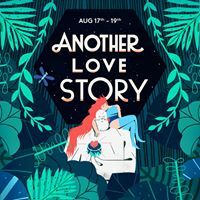 Another Love Story & Hang Dai Chinese are delighted to present the first of four very special parties in 2019 combining a shared love of extraordinary food & djs. Each party will see the storied crew of The ALS Shift Shack Soundsystem take control of the beautiful Hatchett furniture & Sound system with a very special international guest Dj. Guests can choose to book in for the full Hang Dai experience with a special 5 course taster menu & dj ticket, or just to come to boogie enjoy the amazing Hang Dai cocktails on the night. We kick off our collaboration with a true statesman of the German electronic scene - Ata. 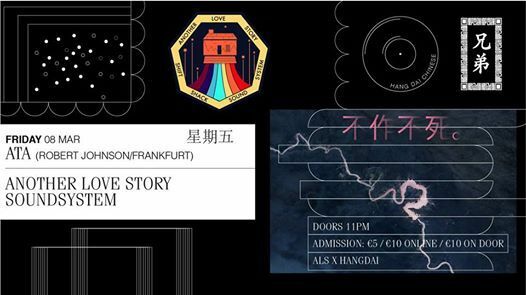 Ata is a DJ and founder of the labels Playhouse, Klang, Ongaku. 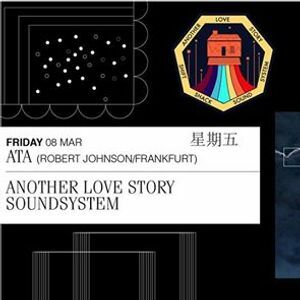 He also runs the 250-capacity Robert Johnson club in Offenbach, Frankfurt-Am-Main, one of the world’s premier techno clubs. Ata started DJing in the late eighties. In 1992 he founded the record shop Delirium with Heiko Schäfer, aka Heiko M/S/O, where he established the labels Ongaku Musik, Klang Elektronik and Playhouse in 1993. Beside DJing, Ata founded the first 'real' clubnight in Frankfurt for modern house and deep house, the Wild Pitch Club at the Nachtleben-Club. After years of parties he closed the concept and opened the Robert-Johnson 1999. Emmet , Claire & more all night long. Onwards to the break of dawn!